"#789.- Depot, from top of R.R. 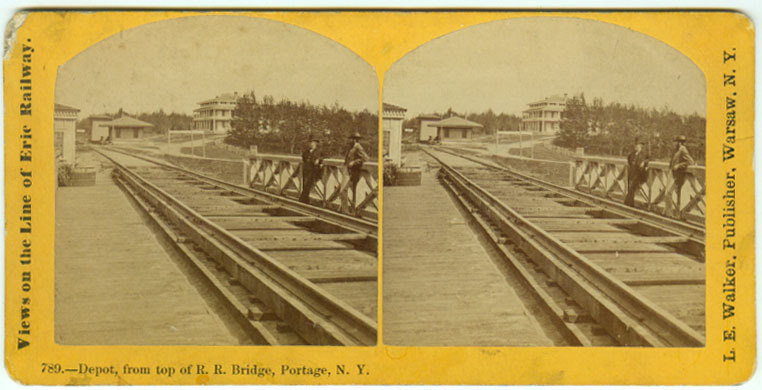 Bridge, Portage, N.Y. 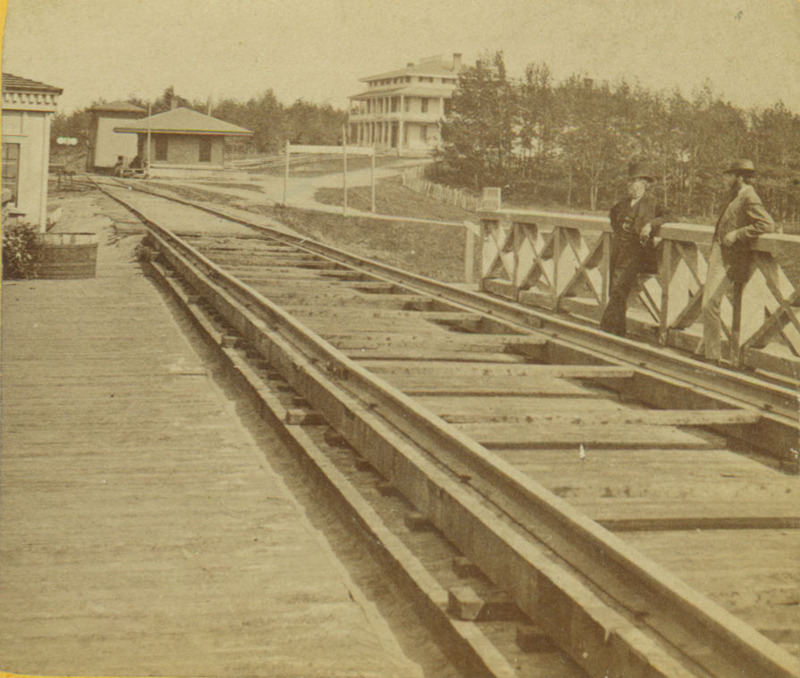 This image is taken at the east of the Portage Wooden Bridge and shows much of the area known as "Portage Station". The depot can be seen just south of the tracks. The large structure to the right of the depot is the Cascade House, a well known area hotel. On the end of the bridge, to the left of the tracks you can see a small watchhouse. It was from this building that watchman Pardon Earl discovered the fire that would destroy the bridge in 1875. A larger view is found below.For a similar view of the station area, see Image 211. For a later view of the same area, see Image 174.